Ford imagines this compact SUV as being perfect for folks that enjoy the outdoors. During an event in March, Ford detailed some of its product plans for around the next 24 months, and the automaker dropped some major surprises there. 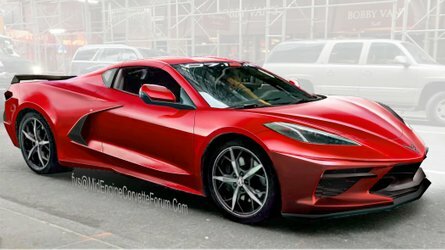 For example, there's a Mustang-inspired crossover on the way, and the Blue Oval is preparing a rugged compact SUV, too. 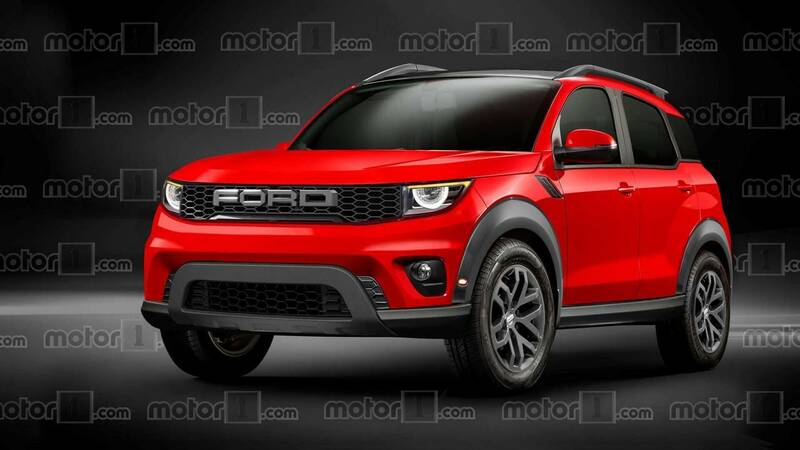 The automaker doesn't yet have a name for the model, so the Motor1.com teams simply refers to it as the "Baby Bronco" since the model seems to be a tinier interpretation of the upcoming Bronco revival. Did you see the leaks? Is This The 2020 Ford Bronco, Or Its Baby Brother? Ford provided practically no concrete details about the Baby Bronco at the event. 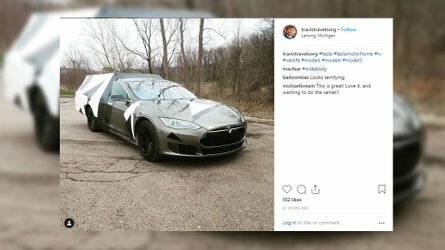 The firm's brief description of the model was that it was “designed to win a growing number of people who love getting away and spending time outdoors with their families and friends.” The automaker also released a shadowy teaser image (see comparison above with the new rendering). The SUV appears to have a boxy shape and short overhangs that evokes classic off-roaders like the Jeep CJ, Land Rover Defender, and Toyota FJ40. 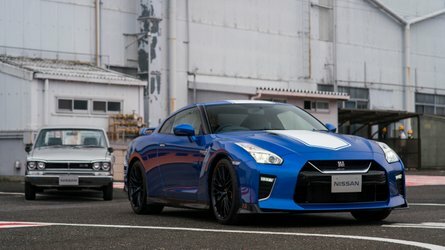 There's a narrow grille up front and retro-tinged circular headlights with an LED ring around them. There are also prominent fenders that lend a muscular aesthetic to the vehicle. A big roof rack should allow carrying plenty of gear, too. Powertrain details are a complete mystery. Given the model's off-roading focus, all-wheel drive seems like a certainty. The vehicle's compact size would make one of Ford's four-cylinder turbocharged engines plenty powerful for motivating the SUV. 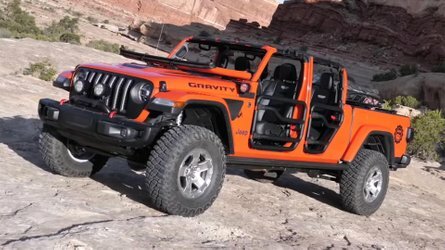 If the Blue Oval really wants to make this rig capable in the mud and dunes, then it would offer useful tech like locking differentials and a low-range transfer case, too. The debut date for the Baby Bronco is also a mystery, and Ford has lot of new and updated SUVs on the way in the coming years. For example, new generations of the Escape and Explorer arrive in 2019. 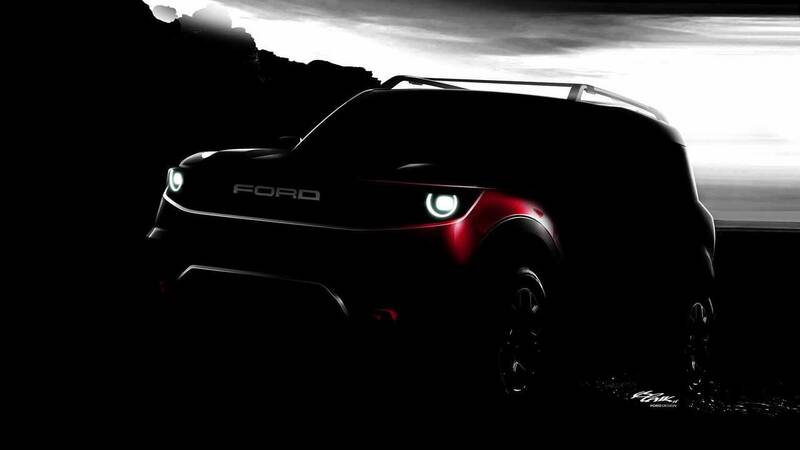 Plus, the Mustang crossover and Bronco are on the way, too.